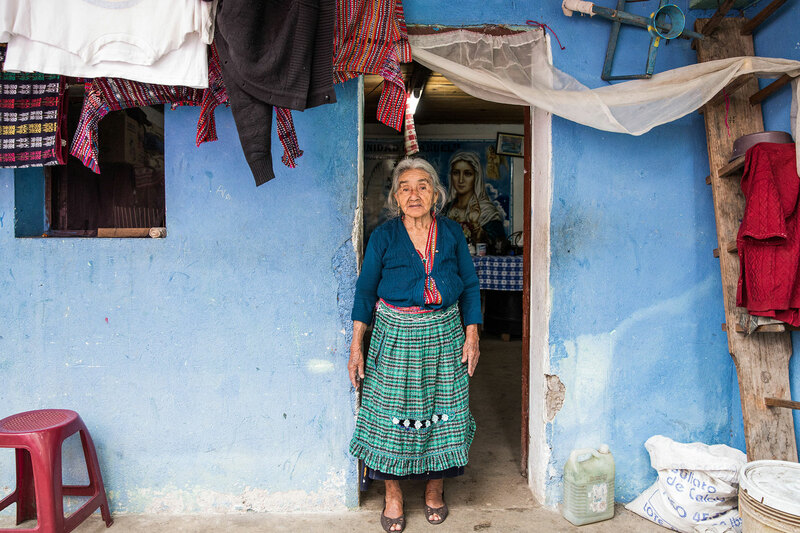 A portrait of Eugenia Iboy Cojtan out side her home in San Jorge, Guatemala. In August 2016 Karina Illovska spent some time beyond the mountains, in the homes of the surviving Guatemalan Mayans who live beside Lake Atitlan. She was given this opportunity working with a not for profit organisation, MayanFamiles who provide much needed assistance in this area. Their vision is to assist with the Mayan’s basic needs through sustainable programs that focus on elderly care, nutritional support, education, emergency aid and artisan programs to cultivate the local arts.